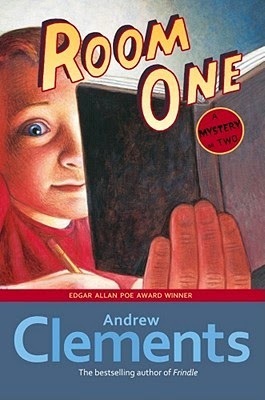 Andrew Clements is a gift to reading teachers. His books are accessible, easy to read, and didactic without being preachy. There's also something to be said for the covers, which are welcoming to readers in their similarities, and don't look too young, which lessens the embarrassment of reading them at an older age. Many of my ESL students are reading his novels in sixth grade and they proudly proclaim them as their favorite author. Ted Hammond loves mysteries, but never thought he would find one in his isolated Nebraska town. One day, though, he sees a face in the window of an abandoned farm house. He solves the mystery of who it is fairly quickly, but then motivates to do something about it. What started as a mystery develops into a lesson about community, keeping promises, and the value of small towns. While I enjoyed the insight into what it would be like to teach in a one-room school, my favorite aspect of Room One is that Ted is a genuinely good person. He takes promises seriously and believes in the values of the Boy Scouts. It's nice to have a strong role model to refer back to, especially when most of my students have read Clements' books at one time or another. I wouldn't consider this a mystery, but rather some realistic fiction that shows the good things that can happen when you do the right thing.